TKB Associates, Inc. provides a wide variety of scanners and scanning services for our customers. 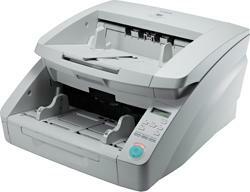 TKB Associates, Inc. can provide standard document scanners, high speed document scanners, and large format scanners. All of these devices are available in a variety of prices and functions. 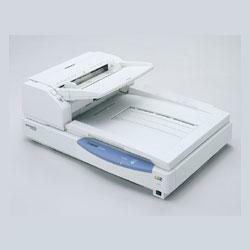 TKB Associates, Inc. can also arrange for affordable lease options for scanners. No matter which model you choose, innovation and value come standard. After all, that's what people expect from Canon's DR-Series Scanners. That's because Canon scanners offer the kind of high-performance features that make converting paper documents easier. Compact and powerful, Panasonic desktop scanners are high-efficiency business tools that let you scan virtually any type of document – from business card dimensions to legal size in full color or black and white. Panasonic’s proprietary Image Enhancement Technology can actually improve the quality of your scanned image beyond that of the original, offering better clarity of marginal material. Fujitsu Computer Products of America, Inc. (FCPA) is an established leader in the document imaging market, featuring state-of-the-art scanning solutions in the workgroup, departmental, and production-level scanner categories. Fujitsu scanners deliver speed, image quality, and great paper handling. “Colortrac scanners are the only wide format scanners to support the ISIS driver, which eliminates the multi-step process commonly associated with wide format archiving. We are excited to partner with Laserfiche to offer an easy solution for our customers.” The Colortrac wide format scanner provides the wide format digital on ramp and the ISIS driver enables the features of the scanner to be accessed from within the graphical user interface of Laserfiche, offering a simple solution for Laserfiche users. The NEW compact SmartLF SC 25 large format scanner is the best general purpose solution for scanning wide format Technical Imaging and Color Graphics documents up to Arch D, ANSI D, ISO A1 or B2. With a small footprint, it is ideal for Small Office, Home Office, On-site Building Services, Architectural, Engineering, Construction and more. The NEW SmartLF SC 36 large format scanner is ideal for Technical and CAD Drawing Offices, Architectural, Engineering, Construction, Facilities Management and Electronic Document Capture (EDC). Using the new SuperSpeed USB3 digital interface and SingleSensor digital imaging makes this wide format scanner the best solution for general purpose Technical Imaging and Color Graphics. Shown with optional PC mounting arm.